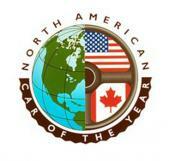 Cadillac ATS and Ram 1500 Nab North American Car and Truck of the Year Honors. The North American Car and Truck of the Year Awards were announced today at the Detroit Auto Show, and the Cadillac ATS and Ram 1500 walked away with the honors. The award is voted on by a panel of 50 auto journalists from print, online, and broadcast. In a recent post, we raised the issue of understanding the importance of resale value when choosing a vehicle. It’s not all about purchase price, after all. Now we’re going to give you even more info on that, with an added bonus lesson: Don’t rely on only one source for your data. Our previous article focused on Kelley Blue Book’s Resale Value Awards. 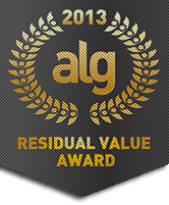 This time we’re looking at ALG’s Annual Residual Value Awards. While there is some overlap between the two lists, there are some important differences, particularly when it come to their overall brand awards. These differences could change your mind or validate your choices. Ok, so you’re all excited about your new car purchase. You’ve lined up a great price on a car you like, but are getting the best deal over the long term? What will your car be worth when you sell it? Everyone wants to get a great price on their new car, and at AutoBuying101.com we are always looking to help you get the best deal, but we also want to educate you about all the costs associated with car ownership, and a big one is resale value. You could hardly blame Tesla founder Elon Musk if he were to gloat a wee bit. First the Model S was named Automobile Magazine’s Automobile of the Year. Then further validation as the Republican repudiation of the government investment in Tesla failed to move the needle in the national election. 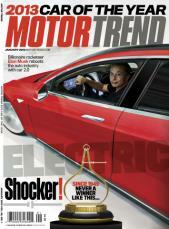 Now, Tesla has garnered the most famous of all automotive bragging rights: Motor Trend’s Car of the Year Award. American Suzuki Motor Corp., after years of struggling to find their way in the U.S. marketplace, has finally decided to pull the plug and will cease selling their vehicles in the United States. This does not affect their motorcycle, marine engine, or ATV operations. Meanwhile, Mitsubishi Motors, also scrambling for a foothold in the U.S. market, appears to be making a push to carry on, naming a chairman for their U.S. division for the first time since 2007. Korean automakers Hyundai and Kia (which is a subsidiary brand of the Hyundai corporation) have admitted to errors in the calculation of MPG figures on 900,000 vehicles sold from 2011 to now, and they have voluntarily set up a program to reimburse current and former owners of affected models. On most vehicles the difference is 1-2 miles per gallon lower than stated on the window sticker. The biggest discrepancy was on the Kia Soul, with certain models having been misstated by as much as 5 MPG. In what surely must be considered a surprise choice, Automobile Magazine has named the all-electric Tesla Model S its Automobile of the Year for 2013. It’s not the first electric car so honored - the range-extended Chevrolet Volt won in 2011 - but with only 250 of the Model S having been delivered to actual customers, this upstart startup is barely even an infant when compared to the rest of the automaking world. Many auto buyers are looking to downsize their vehicles, whether it’s to save money on fuel costs or simply to spend less on their next car purchase. One common concern with the move to a smaller vehicle is safety. There’s a certain comfort driving a larger vehicle know there’s more metal mass surrounding you. More car to absorb more impact. Luckily, manufacturers are paying close attention to occupant safety, especially as they look to sell more small cars. Halloween is here, and folks of all ages will be dressing up as their favorite characters and heading to Halloween parties or hitting the streets for tricks or treats. This got us thinking about some very distinctive-looking cars; vehicles with character to spare. So we here at AutoBuying101.com have picked our Top 10 Cars With Character for Halloween. We’ve gathered up photographic evidence to illustrate our picks, and we think you’ll be amazed by the resemblances. Get ready for aggressive deals on 2012 Honda Civics. Honda has told dealers to clear out their current stock of 2012 Civics in advance of the debut of the hastily refreshed 2013 models, according to a report from Autoblog. As the car market was exploding with multiple flavors of hybrids, from Prius to Escalade, Nissan made a big bet that electric cars would be the real future of energy efficiency, rather than hybrids. Thus, they poured all their efforts into developing and marketing the all-electric Leaf, and virtually ignored the hybrid marketplace. Sure, they had a hybrid Altima for a while, but that borrowed technology from Toyota rather than being developed in-house. The only other hybrid in the family is the Infiniti M.
As auto buyers, we tend to focus most of our energy on the purchase cost of our vehicles, and other than fuel cost, we spend less time thinking of the ongoing costs. 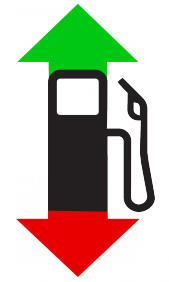 Of course, figuring our fuel cost is relatively simple; the MPG is listed right on the window sticker and with a little quick math in our head, we can easily guesstimate our gas bill. Toyota announced the recall of 2.5 million vehicles in the U.S., part of 7.4 million worldwide to address an issue with the driver’s side power window switch. If not properly maintained, this issue could result in melting, smoke, and possibly fire. 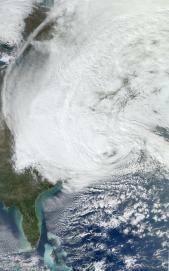 This, on top of several years of assorted other recalls, now totalling over 14 million. In a land where lumbering SUVs once roamed like so many dinosaurs, small car sales have grown to levels not seen is nearly 20 years, so says a report on Bloomberg.com. One reason is obvious; soaring gas prices. 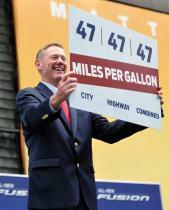 It is a knee-jerk consumer reaction proven time and again; when gas prices rise, so too do sales of gas-efficient cars. And save for an early summer respite, we’ve seen gas prices rise all year. Much of what we talk about here at AutoBuying101.com is very pragmatic automotive analysis. How does one particular car compare to another? Who’s offering the best incentives? How is the gas mileage? But what about the emotional component? How much do we love our cars? The LEAP Index from New Media Metrics measures emotional attachment to all varieties of consumer brands, not just cars. LEAP stands for Leveraging Emotional Attachment for Profit, and their proprietary research model asks questions designed to measure this emotional attachment, on a scale of 1 to 10. They then calculate the percentage of people who answer 9 or 10. The Paris Auto Show (Mondial de l’Automobile, if we’re being fancy) opened this week, and while the bulk of debuts shown there will be Euro-centric, there are a several vehicles with U.S. relevance appearing for the first time. Let’s take a peek. The Golf debut may not move the U.S. curiosity meter as much as, say, a fullsize pickup or midsize sedan, but it is VW’s most significant model worldwide, and each new generation is a big deal for a company gunning for #1 in the world. September 2012 auto sales are expected to show a big increase over the previous September, and the best September sales figures since 2007, as the auto industry continues its rebound, according to a report by TrueCar. While the sales forecast of 1,163,000 light vehicles in September is down 9.5% from a big August 2012 sales month, that figure is up 10.5% from September 2011. As we near the end of the month (which we already know is the best time to buy a car, right?) it’s a good time to take a look at which 2012 vehicles have the biggest discounts. If you are flexible in your choice of vehicle, you can score some big savings. TrueCar takes a look each month at what makes, models, and categories are, on average, being discounted the most. Lets take a closer look at their findings. Ford has high hopes for its newly designed 2013 Ford Fusion midsize sedan. The outgoing Fusion did reasonably well, but the design had grown stale, and in a hotly contested segment with brand new entries in the Honda Accord and Nissan Altima, Ford is looking to make a big move up the sales charts. Haul Away Great Deals on Pickups Right Now. If you’re shopping for a pickup truck, there may not be a better time than right now. Led by General Motors, there is some fierce competition going on to move pickups out the door. The debut of a new vehicle is a heady time for both automakers and consumers. 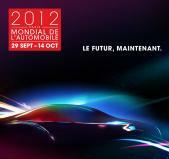 The automakers gets to strut their stuff: sleek new designs, performance improvements, cutting edge technology. Consumers get exciting new vehicle choices to provoke them to pry open their checkbooks. It does present a conundrum for the automakers, though. In our world of instant digital communication, the news of upcoming new models spreads faster than crabgrass. As consumers begin to drool over the new sheetmetal, inevitably there are lots full of the now unfashionable outgoing models that still need to be moved. When an automaker redesigns a vehicle that is considered the linchpin of their lineup, much is at stake. A misstep can be disastrous and set the company back for years, so rarely will tremendous risks be taken. One such vehicle is the Honda Accord. The Accord has long been the midsize standard-bearer and top seller. Let’s see if they’ve got a hit on their hands. The competition in the compact car segment has become fierce, with many automakers making strong attempts to unseat the perennial class leaders, the Honda Civic and Toyota Corolla. So strong, in fact, that Honda is hastening a mid-cycle refresh of its roundly-panned latest generation Civic, and Toyota has promised a much less boring Corolla. Look to the boldly styled Hyundai Elentra, Euro-inspired Ford Focus, and Alfa Romeo-based Dodge Dart as evidence of the importance of the segment. There was a time when Lincoln and Cadillac ran neck and neck in the battle for American luxury car supremacy. Then the Lincoln brand suffered years of neglect, with a long run of substandard, badge-engineered vehicles that failed to inspire buyers. Sales plummeted as more competitors entered the premium vehicle arena. Rumors of Lincoln’s demise swirled overhead like vultures. When long-standing brands such as Pontiac, Oldsmobile, and Mercury bit the dust, it seemed like Lincoln was the next candidate for closure. The Insurance Institute for Highway Safety (IIHS) has established a new variety of frontal crash test for cars, and automakers will no doubt be scrambling to catch up. The new test is called the Small Overlap Frontal Crash Test, and it measures the effect of only 25% of the front of a vehicle hitting a barrier at 40 mph. Previous tests measured full frontal impact at 35 mph, and a 40% offset impact at 40 mph. Everyone wants to be safe in their car, right? Occupant safety has become a major selling point when shopping for autos, with vast expanses of airbags enveloping us from all angles. But are we protecting our pooches as well as our people? Bark Buckle Up is a pet travel safety advocate, and they have named their 2012 Bark Buckle Up Top Dog Vehicle awards. Some of the features they look for in a pet-safe vehicle are air conditioning vents for the rear seats to keep canines cool, side airbags, an adequate number of D-hooks for securing extra dog-related gear, and a good quality rear-view camera. Buy Before You Test Drive? Would you consider buying a car before you took it for a test drive? We certainly wouldn’t, but a recent study shows that over 11% of auto buyers do exactly that, according to a story in the Detroit Free Press. The story references a Maritz Research study of over 80,000 buyers of 2012 model year vehicles. The study also showed that 80% of those questioned used internet research before making their purchase. If you love the VW Beetle, and sharks, have we got the car for you! Forbes compiled a list of the most beautiful cars of 2012. Beauty comes at a price apparently, because every one of them is extraordinarily expensive. Two reports, by AutoMD and Black Book, are showing that owners are holding on to their vehicles longer and for more miles than ever, as reported by The Detroit Bureau. Ten years and 150,000 miles are no longer unusual. The AutoMD survey showed 78% of owners plan to keep their vehicle for more than 10 years, with only 3% expected to change cars within 3 to 5 years. And according to the Black Book Study, most trade-ins will have 125,000 to 150,000 miles by the time owners get a new vehicle. This is a significant change from the glory days of the automotive past. Autobytel, in conjunction with automotive research firm AutoPacific have released their 2012 Ideal Vehicle Awards. The IVAs are based on a survey of over 75,000 vehicle owners from the full spectrum of major manufacturers. The survey touched upon 15 different categories spanning all aspects of their vehicles inside and out, from styling to performance to comfort. "The significance of the Ideal Vehicle Awards is that they identify the automotive manufacturers that are listening to their buyers when updating and developing their latest cars," said George Peterson, President of AutoPacific. Mazda had been slowly, painfully teasing the next Mazda6 debuting soon. Finally, this. American auto buyers are continuing to downsize their vehicle purchases, but are totally okay with the result. So says the just-released J.D. Power and Associates annual APEAL Study. The somewhat forced acronym stands for Automotive Performance, Execution and Layout, and it measures the responses from consumers after 90 days of ownership on over 80 factors involving driving performance, interior comfort and convenience, and styling. Car sharing is a concept that has gained some traction in urban centers and colleges in recent years. After all, owning a car is expensive. 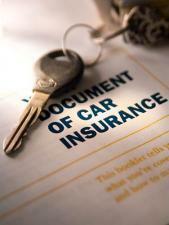 Besides the car payment and interest, there’s insurance, gas, maintenance, and more. Companies like Zipcar allow urban dwellers and college students the convenience of having a car available when they need it without actually owning one. Cadillac ATS - Ready To Tackle BMW? We mentioned the Cadillac ATS in a previous post, but due to a press embargo, there were no road tests released yet. Until today, that is. Embargo lifted, the reviews came flooding in today. The verdict? It looks as though Cadillac has a winner on their hands. Compacts are the volume sellers in the premium segment, and for Cadillac to continue their renaissance, they badly need a winner here. Audi debuted their digital showroom concept in London. Makes the Apple Store look sorta like Home Depot. The European version of the upcoming FIAT 500L includes an optional espresso maker. Why do they get to have all the fun? Are you looking for the newest of the new? It’s the heart of the summer, but 2013 models are on the way soon, and some are already in the showrooms. Kelley Blue Book published a rundown of the early arrivals; let’s look at some of the highlights. Yes, car buyers can be as fickle as gas prices, and their buying habits closely mirror the price on the pump. But manufacturers know they need to improve MPG while still satisfying our demand for SUVs and crossovers. Hence the trend towards smaller SUVs and CUVs. Several are already on the slate for 2013. Languishing on the Lot? Dynamic Deals! Here's a tidbit about the inner workings of car dealerships that can help save you money. Car dealers don’t buy their new cars outright from the manufacturers, they finance them. 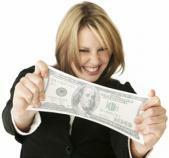 For the duration that each car sits on their lot, they pay interest on the financing. When the car is sold, they pay off the loan. So, putting on our MBA hats and crunching the numbers, it makes sense for a dealer to sell a particular car as quickly as they can; the longer a car sits on the lot, the more interest they pay. The more interest they pay, the lower their profit. Pretty straightforward, right? Do Poor Sellers Mean Great Deals? When we hear that a car is not selling particularly well, our spidey senses start tingling. Our intuition is that when they're not moving metal, there are probably going to be great deals available. Automobile magazine recently published an article called The Best Cars That Nobody Buys. They looked at eight very competent and seemingly desirable vehicles, offering some analysis on why these cars may not be selling. Let's take it one step further and see if, in reality, there are great deals to be had on these eight poor-selling cars. The laws of nature in the automotive ecosystem used to hold that the bigger the car, the bigger the engine. Small cars got the four-bangers, big cars got V8s, and 6-cylinders fell in between. And, if you wanted to make a premium or performance version of a particular model, just shoehorn in a bigger engine. Simple as that: Bigger is better. There was no problem that couldn’t be cured with cubic inches. With auto sales scorching this year, the simple law of supply and demand would suggest that great deals would be harder to find than normal. With vehicles moving briskly off the lots, there is less motivation to offer strong incentives. To a large extent this is proving to be the case in the marketplace, but that doesn’t mean there still aren’t some deals to be had out there. Do you love big V8 engines with deep burbling exhausts, and smoking your rear tires with burnouts at every stoplight? If so, you are dismissed for the day. Today we’re looking at the opposite end of the performance spectrum. They are lightweight, they have high-revving 4-cylinder mills, propulsion is delivered via their front wheels, they are the econoboxes gone wild: the hot hatch. Don’t worry, still plenty of testosterone to go around, fellas. They may look like toys compared to a traditional muscle car, but there are thrills aplenty behind the wheel. You can still generate blue smoke; it’ll just be from the front wheelwells instead of the rear. It’s a fact of automotive life that every year there are models that die off, never to be seen again. There are many reasons: The car may be subpar in its category. Or it may be a bit long in the tooth. Sometimes a vehicle gets squeezed out by overlapping selections in a manufacturer’s lineup. Or it may be that it just plain did not sell. Whatever the reason, sometimes we wind up losing an interesting vehicle that suits a select few customers’ needs perfectly. Remember the Honda Element? A bonafide Swiss army knife of a ute that could swallow a dorm room, but sales kept dwindling until it disappeared. Where Are Gas Prices Heading? When gas prices hit a national average of $3.92 a gallon in April of this year, most people expected a painful summer driving season of ever-increasing prices. Charting the prices showed nothing but a steady climb since January. And didn’t it always seem like gas prices jumped just in time for our summer road trips? But then a funny thing happened: Over the following two months, gas prices dropped nearly as steadily as they had risen, to a national average of $3.37 a gallon. Drivers rejoiced, overall MPG of cars sold dropped, and the summer driving picture started to look quite rosy. Ready For the Apple iCar? Okay, the Apple iCar is a bit of an exaggeration (although it has been said that Steve Jobs wanted to build one). But Apple is wedging themselves further into automotive integration, and this time it’s a lot more significant than just an iPod adapter. “Be American, Buy American.” That was a popular bumper sticker from not all that long ago. The Big Three’s dominance of the American car buying market had slipped dramatically to Japanese imports, the Japanese economy looked like a juggernaut threatening the stability of our own economy, and the patriotic cry was to support American industry by buying American cars. Of course, it was easy to make the distinction then; If it was from Ford, GM, or Chrysler it was an American car. Everything else was an import. Last month we asked the question: Is a hybrid right for you? The answer to that question was conditional. If your primary concern is the sociopolitical goal of using less fuel regardless of cost, you have the thumbs up. If saving money was your issue, we had to apply a comparative formula of initial purchase premium versus annualized fuel savings to determine the break even point. Simply stated, we had to do the math. Eyes became glazed over. No one wants to do the math. Years of advancements in controlling NVH (noise, vibration, harshness) have made cars quieter than ever. Insulated firewalls, laminated glass, triple door seals, even electronic noise cancelling have all conspired to give our cars a coffin-like silence. Not just luxury makes either. They may have escalated the the war on noise, but the technology has trickled down to even the most lowly of vehicles. Small cars that were once notorious for being not just tiny, but tinny as well, now offer peaceful passenger compartments that rival grandpa’s Buick. 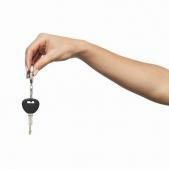 Most car buyers are fully aware of the “leftover” concept. The model year is drawing to a close, next year’s models are already making their way into showrooms, but inevitably dealers still have a few of last year’s version hanging around their lots. Much dealmaking ensues, with gaudy ads ballyhooing big discounts: “Everything Must Go! We Need to Clear Space for the 2013’s!” And indeed it is true. Even though next year’s model may be virtually identical to the current year’s car, with changes that are nearly indistinguishable to the untrained eye, that incremental digit on the back end of the model year pushes the previous edition to the discount rack. Smart shoppers rejoice. Oh please, get your mind out of the gutter. Sorry, we’re not talking about exotic dancers, but if it’s any consolation we are talking about cars that have the, shall we say, bare minimum of standard equipment. The concept of strippers has seemed to become very nearly obsolete these days. Indeed in the subcompact and compact ranges, cars that were once considered purely entry level vehicles, it is now possible to get levels of comfort and high end features that were once the province of luxury brands only. Likewise, there once was a time long ago when pickup trucks were purely utilitarian, before Cowboy Cadillac entered the lexicon. The fact is that when we shop for cars, the first thing we look at is is the exterior design. It’s the sheetmetal that catches our eye and elicits the emotional reaction. By comparison, interiors get little attention. When’s the last time you saw a car’s interior on the cover of a magazine?Think about it, though. After the initial blush of exterior infatuation, where do you spend all your time? On the inside of the car, not the outside. Shouldn’t it be a place you enjoy? It’s time to share some love with car interiors for a change. The editors at WardsAuto agree, and have named their 10 Best Interiors for 2012. Climb in and have a look. Looking For The Best Deals? Find Flexibility. So you’re in the market for a new vehicle. Let’s say a minivan. You’ve always heard great things about the Chrysler Town & Country; they're packed with cool features, and heck, they invented the segment. But when you finally get down to price, the deal is okay, but nothing spectacular. On a whim you check out the Volkswagen Routan. Eerily similar to the Town & Country. Well it should be; the Routan is mechanically identical. It’s an example of some friendly sharing between the two companies to help VW get a minivan to market quickly without developing their own from scratch. The real difference you find though is when you starting talking deals. The VW dealer is giving you much more wiggle room. What gives? Is A Hybrid Right For You? With gas prices hovering around $4 a gallon with no relief in sight, more people than ever are considering hybrids to get some relief at the pump. According to a report by HybridCars.com, hybrid sales hit an all-time high in March 2012 with over 48,000 vehicles sold. Yet a report by Polk indicates that only 35% of hybrid owners buy another. So before you take the leap you may want to ask the question: Is a hybrid right for me? The answer to that questions involves factors both economic and social. Suzuki On Their Way Out of the US Market? In recent years Suzuki cars appeared as though they finally had the opportunity to carve themselves a small niche as interesting alternatives in a couple of key segments. The SX4 is the most affordable AWD car on the market, and the Kizashi proved to be a stylish, engaging drive in the mid-size segment. However a report in Automotive News paints a picture of an auto company in retreat. Marketing budgets have been cut. Social media has evaporated. They skipped the Detroit and Los Angeles shows altogether. Meanwhile, sales have shrunk and dealerships are vanishing. Car makers worldwide may face a severe shortage of a resin used in the production of brake and fuel lines, causing a major kink in the manufacturing supply chain. A March 31 explosion at the factory of German chemical company Evonik killed 2 workers, and completely halted the production of Cyclododecatriene, also known as CDT. CDT is required in the making of the resin PA-12, which is used for coating brake and fuel lines supplied to all major manufacturers. Asia’s largest supplier of PA-12, Ube Industries, is already fielding requests from manufacturers for increased production, but states that they are already running at full capacity. Looking to Sell Your Used Car? Now’s the Time! Well, the best time to minimize the angst might be right now. Trade-in values on used cars, especially late model, fuel efficient vehicles, should peak in the next few weeks, according to the National Automotive Dealers Association (NADA) Used Car Guide. Ram has something they want you to know: the 2013 Ram 1500 has best in class fuel economy. Seriously, they REALLY want you to know that. They must have used that exact phrase, with an accompanying metal-slamming dust-raising graphic, a half-dozen times before they even showed us the truck. To achieve this best in class fuel economy, they utilized a host of improvements: a redesigned stronger and lighter frame, 8-speed automatic transmission, electric power steering, stop-start technology, active grill shutters, and active air suspension for aerodynamic benefit. Subaru's one debut was the XV Crosstrek. In a past life you knew this as the Outback Sport. Basically an Impreza that's been jacked-up and called a crossover. You'll get 8.7 of ground clearance, same as the Outback wagon, so feel free to bust through those snow drifts. Also previewed were a refreshed Legacy and Outback. A new 2.5 boxer engine, and minor styling updates are the only news. Subaru also introduced a new technology called EyeSight that offers adaptive cruise control, pre-collision braking and throttle management, and lane departure warning. Normally only seen in more expensive cars, Subaru has concocted a more affordable system using stereo cameras rather than radar. Toyota's press conference featured a "concept" that was suspiciously devoid of a name. After the full show and tell, the big surprise was that this wasn't a concept at all; it was the new Avalon, exactly as it will appear in production form. The Avalon has always been referred to (or derided) as Toyota's Buick; large, plush, smooth ride. Blandly inoffensive. The perfect choice for retirees. But with the changing definition of Buick has forced Toyota to step if up a notch. The new Avalon takes a giant leap forward in styling. Is there anything particularly original going on here? Nope. But it is a handsome, balanced, well-executed design that should broaden the Avalon's appeal further down the age scale. The 2013 Hyundai Santa Fe has undergone a type of automotive mitosis, splitting like an amoeba into two separate vehicles. One, the Santa Fe Sport, has a shorter wheelbase, with two rows of seats that seat five passengers. The other, simply known as Santa Fe, has a longer wheelbase, three rows of seats, and seats seven. Obviously, this broadens the range of crossovers with which the Santa Fe twins can be cross-shopped. The updated styling continues Hyundai's "Fluidic Sculpture" theme, although perhaps with less fluid than the recent Elantra and Veloster. Attractive enough without being risky. The full-size GL luxo-crossover has undergone a full redesign. Expect the usual dizzying complement of creature comforts and high technology, like Crosswind Stabilization and Active Parking Assist. Are the luxury brands in danger of running out of whiz-bang doo-dads? The only thing left may be time travel. Also from M-B, a styling refresh for the compact GLK crossover. The new-to-us BMW X1 crossover made its American debut in New York. It has been on sale in Europe for a couple of years. BMW calls this a subcompact SAV (Sports Activity Vehicle) and it slots below the X3. The X1 will be available with a 4 cylinder and exclusively in the US, a 6 cylinder. Acceleration in that model should be brisk, to say the least. Nissan debuted the new mid-size Altima sedan. It's their best-seller and has been redesigned from the ground up. How's it look? If you like the Maxima, you'll probably like the new Altima. Sorta. If the Maxima is Peyton Manning, then the Altima is Eli. Clearly brothers, but one just doesn't look quite as sharp, and doesn't perform as well as the other. Don't feel bad for the Altima, though. Just as Eli has more rings than his multi-MVP brother, the Altima outsells the Maxima handily. Acura has caught a bad case of Lincoln-itis in recent years. Bland product and strategy adrift. What are they? They aspire to be a premium brand, but nothing in their product line speaks to the essence of their identity. Where is the flagship? The current RL is barely adequate and painfully long in the tooth (talking about its age, not its awkward grille) when compared to the competition. For Lexus the big story was the debut of the new ES350. This mid-sized luxury model always follows on the heels of the Toyota Camry debut because it's the Camry that provides the platform for the ES line. So we're talking about a FWD-based vehicle here, not RWD as in the rest of the Lexus sedan stable. Not necessarily a bad thing; plenty of shoppers in this segment are just looking for a quiet comfortable ride to go with the plush amenities. The styling is pleasant, inoffensive, with some cues from the top-of-the-line LS, and a slightly toned-down version of the new Lexus family Predator face. The Lincoln brand has languished in limbo for years, offering only the ubiquitous Town Car and badly blinged, badge-engineered vehicles thinly disguised from their Ford cousins. While the Japanese brands were seizing market share, and Cadillac was reinventing itself as a bold, brash competitor against the German marques, Lincoln plodded towards extinction, seemingly just one more bad quarter away from the ax. With apologies to Hertz and Avis, the 2014 Chevy Impala we finally take the leap from fleet car status to bonafide consumer desirability. No longer the province of county employees, the new Impala is designed in such a way that you may actually notice it on the road. Clearly, the success of the last iteration of Malibu proved to Chevy brass that style and design actually matter, even in the family sedan market. The sleek roofline with elegantly executed chrome trim, sculpted side sheet metal and long wheelbase combine to cut a stylish, sleek silhouette. Power will come from three engine choices: a 3.6L V-6, a new 2.5L four-cylinder and a 2.4L four-cylinder with eAssist, promising 35mpg. Expect the new Impala early in 2013.